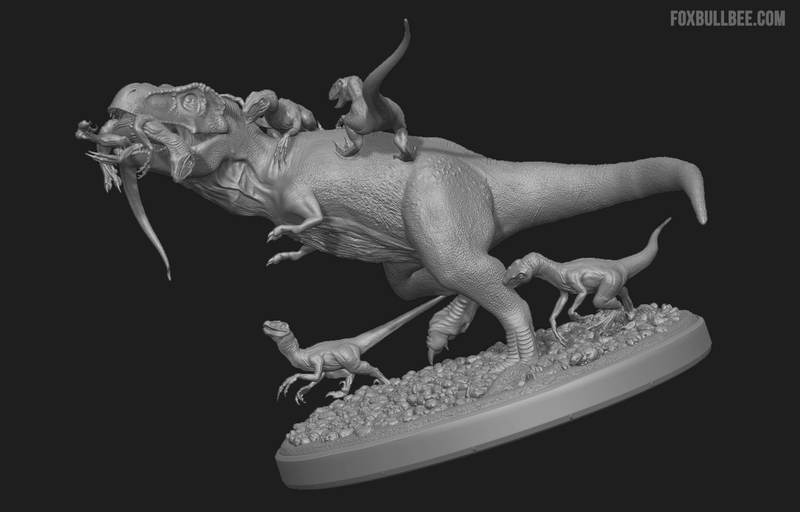 I'm french 3D artist and i love dino art contest , it's very cool ! 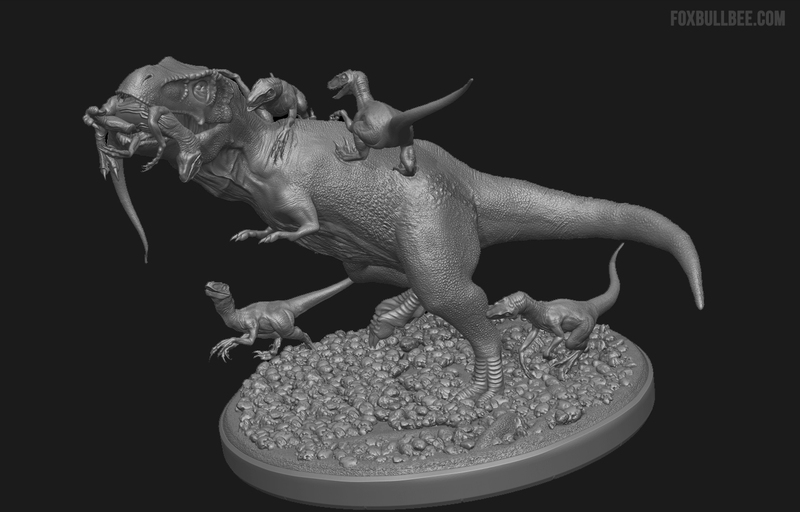 I do during this weekend a hunt scene of Tyrannosaure, unfortunately for him, it is fall on a raptor nest. 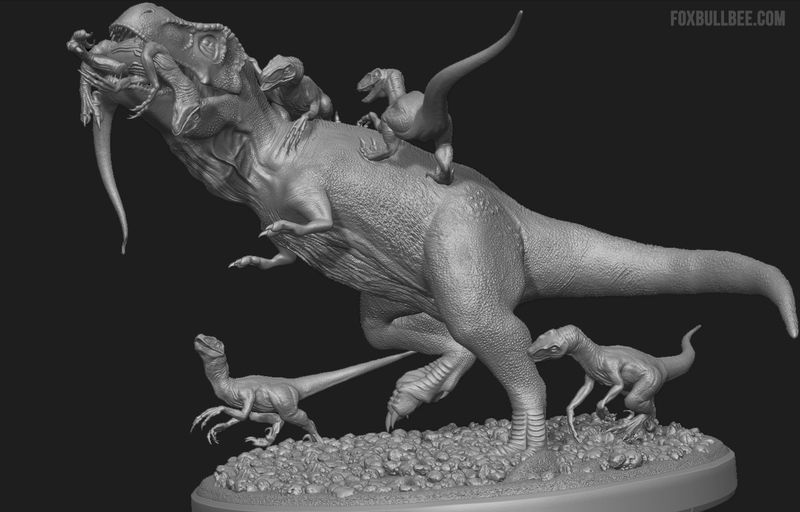 So the raptor defend. 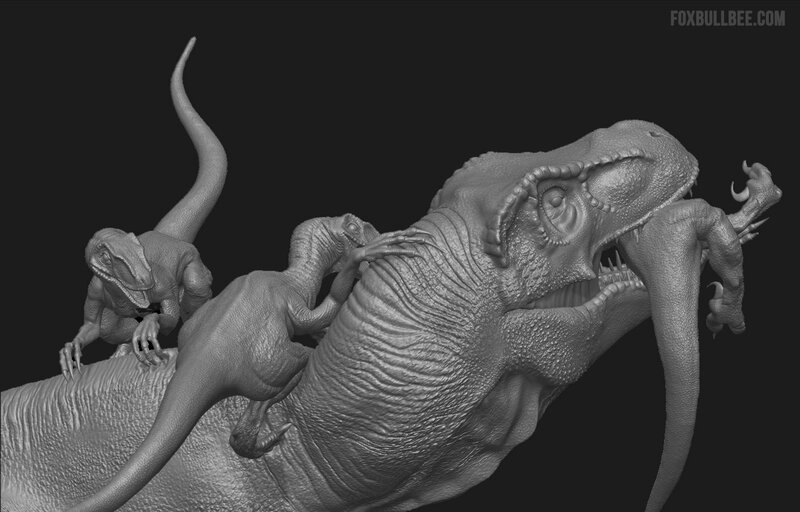 I do this scene with Zbrush during 3 days. Congratulation to everyone, you all do a great jobs ! Your English is better than my French, and your Zbrush skills are amazing! Well done sir.